Sept. 4, 2018 (Phys.org) -- Mammalian brain hemispheres had a means of communicating long before the development of the corpus callosum, a study suggests. A team of researchers with The University of Queensland conducted mammalian brain studies using MRIs. They published their findings in Proceedings of the National Academy of Sciences. 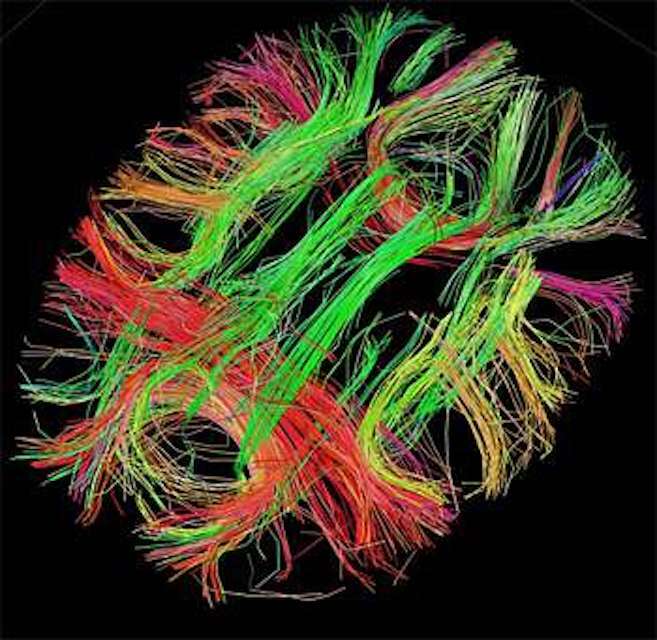 The corpus callosum is the largest mass of white matter in the human brain. Its purpose is to serve as a bridge between the two hemispheres, allowing fast, smooth communications between the two. All placental mammals have a corpus callosum, but for some reason, the other two main groups of mammals do not. Instead of a corpus callosum, marsupials (pouched mammals) and monotremes (egg-laying mammals) have a simple network of nerve fibers that connect their brain hemispheres.